Alex Sitaras: This month, we have a selection of pretty disparate films and it’s our first month where none of the films relate to social/politics issues or are based on a true story. They’re all fiction. I guess the best place to start then would be by bringing up the most abstract or ‘in the clouds’ film of the bunch, Song to Song (dir. Terrence Malick). Song to Song looks to be the fourth (and perhaps last) film of what many would deem to be the ‘new Malick’ style: films taking place more or less in the present day that are most defined for their fluid camera movements by cinematographer Emmanuel Lubezki and their lack of dialogue. Matt Schlee: I have to say that most of my experience with Malick is in his earlier works, so I’m not as well versed in his newer style. I know that his more recent films haven’t been as well received, but I’ll certainly be closely following Song to Song. The cast is top notch with Ryan Gosling making his first post-La La Land appearance, Natalie Portman following up Jackie, and a huge cast of other household names. The trailers have revealed the inventive visual style that Malick seems to be going for in the film and I’ll be interested to see how audiences respond to it. Alex: The visual style his latest films have are a sharp contrast from his earlier works, but I think Song to Song will be a conclusion of this style in light of details announced about his next film Ragerund (different cinematographer, not based on personal life, and like his earlier films in that it is a period piece). Despite Malick’s reclusive nature, there’s quite a few details in his past few films that relate to his personal life (death of brother in The Tree of Life, moving to America with a loved one met abroad and relationship faltering in To The Wonder, etc). I think Song to Song could be a direct companion piece to Knight of Cups– Malick achieved Hollywood success through his first few films but ultimately became disillusioned with it as depicted in Knight of Cups, and now he’s returned to being an independent film director and Song to Song focuses on finding fulfillment in an underground setting through a backdrop of indie music (This is very hipster, but oh well). Just from the trailer, it looks to be a much more happier film than Knight of Cups. I think Song to Song could be an expression of feeling content as a director and following it’s release, Malick might feel more free to return to his older style of filmmaking and take a stab again at Hollywood success or perhaps even take on a new style. Since we touched on it but didn’t directly mention it, Song to Song is about two couples and is set in Austin, TX, where Malick grew up at and now lives. Ryan Gosling and Rooney Mara play struggling songwriters while Michael Fassbender‘s character is a music mogul who falls in love with Natalie Portman’s waitress character. Matt: One of the films that I’m most excited for this month is Olivier Assayas‘ new film Personal Shopper. I’m looking forward to seeing him collaborate with Kristen Stewart again following his last film, the dazzling 2014 movie The Clouds of Sils Maria. For my money that was one of the best films of the last few years and I’m really excited to see what these two can do together. Kristen Stewart has undergone such an interesting transformation since her days of being disparaged as the emotionless star of the Twilight series. It’s been a real treat to watch her stretch her legs as an actress and take on more daring projects. Alex: Definitely, no one would have watched the Twilight movies and then think right after ‘Kristen Stewart is going to become a great independent film actress’. Indiewire did an article awhile back on how stars like Robert Pattinson, Daniel Radcliffe, and Kristen Stewart have breathed life into some independent films in that they’ve been able to draw in audiences that otherwise wouldn’t have been interested in independent films. Have you seen any other of Assayas’s films besides Clouds of Sils Maria? Matt: I haven’t. The Criterion Collection was my link to Clouds of Sils Maria, though Paris, je t’aime (anthology) has been on my list to see for some time. Certainly I’d like to dig into the rest of his filmography. Are you familiar with his work? Alex: I am not. Clouds of Sold Maria was my first of Assayas’s films as well. When it came out, that was shortly after I first became interested in film and I was trying to see at least one film from every major director so that was the one I chose for him. I do want to see some of his other films. Personal Shopper is going to be interesting in that it seems to be very experimental. When it premiered at Cannes 2016, it was met with lukewarm reception but Assayas ended up sharing the Best Director prize, so there’s definitely a lot of personal style and expression in the film. It’s a psychological thriller about a ghost story that takes place in the fashion world of Paris. Might be a good double feature with The Neon Demon. Matt: It’ll be interesting without a doubt, and I’m excited to see another performance out of Kristen Stewart coming off of her small role in my favorite film of last year, Certain Women. Another really interesting film that’ll be coming out this month is Raw. Despite the low to moderate press this has received, it’s been high on my list of movies to watch since I first heard about it. The plot just sounds so strange and intriguing. It’s about a young girl who is a vegetarian, but after a hazing ritual she slowly begins turning into a cannibal. The film is written and directed by Julia Docournau, essentially a first time director, her only other directorial efforts being for a short film and a TV movie. I’m really fascinated by this French horror movie, and really excited to check it out. Alex: Supposedly when screened at the Gothenburg Film Festival, a number of audiences members either walked out, fainted, or vomited when watching Raw. And if it makes the Swedes uneasy… It’s bound to be a tough film to stomach. I’m looking forward to this film as well- horror is one of my favorite genres even though the horror films I’ve reviewed so far haven’t fared too well. If it’s a horror film, it needs to scare me or cause me to feel dread. And after seeing (maybe too many?) dark or disturbing films, I’ve definitely become desensitized to what’s going on on-screen. It’s all made-up, you know? Here’s hoping Raw can make me feel uneasy while also being a quality film. There’s potential in the film’s plot- the girl is at a veterinary school, so there could be scenes of body horror involving both humans and animals. And hazing rituals have been a topic of exploration in a number of films lately (this, Goat, Burning Sands, etc). What kinds of horror films do you like? Matt: I have mixed feelings on a lot of horror films but I think the thing that I’m looking for the most is uniqueness. It’s a saturated genre that’s been boiled down to a handful of the same cliches in terms of the types of films that get mainstream circulation, and I’m always searching for something that tries to dig a little deeper. That’s why I’m so intrigued by Raw. It’s the sort of concept that could really be wholly original. Alex: Got it. Didn’t know if you had any preferences amongst subgenres. For instance, supernatural typically doesn’t appeal to me. Raw is interesting in that its the first film to my knowledge that has a vegetarian protagonist and vegetarianism actually contributes to the plot. Some of the ‘scariest’ scenes in movies, for me at least, typically aren’t in the horror genre. I was watching a film the other day where it has a single take that takes place in the woods as it goes dark. A man with a knife is searching for another man who witnessed him commit a murder. It gets darker as the scene progresses and it’s probably one of the more unsettling scenes I’ve seen in awhile. It’s a really simple scene but there’s pure fear and tension there that rivals that in horror films. Matt: It sounds to me like you see more appeal in that Hitchcockian aesthetic of building suspense rather than playing into the typical horror tropes. I am of the opinion that any horror subgenre can be executed well, but they’re so specific that it can be hard to take them in a new direction. Generally I prefer the creepy, gothic horror movies, particularly old black and white horror movies, but I’m open to any area of the genre provided that it does something proprietary. Alex: Well… The film with the scene I described (I don’t want to spoil the title since that scene is a pretty significant one) has been described as Hitchcockian, so you’ve got me there. I hadn’t really thought of that before, but you’re right. A few of ‘actual’ horror films I enjoy- if such a word is fitting- such as Saw and The Human Centipede 2 do have a rising sense of terror and uncertainty that just escalates until the final scenes. Speaking of black-and-white, the third (!) French film we include in this month’s Most Anticipated is Frantz (dir. François Ozon), a film about a German woman who grieves the death of her fiancé and a Frenchman who visits the fiancé’s grave to lay flowers. Ozon is known for expressing themes of sexuality and including LGBT characters in his films, and I’m going to go ahead and guess the man laying flowers and the woman’s deceased fiancé were secret lovers during the war. I find Ozon interesting since he explores romantic relationships in almost all his films and he does so in a unique manner, whether it be through LGBT couples or his witty characters. Matt: If I’m being honest, I have essentially no background on this film or filmmaker other than the trailer, but the black and white cinematography strikes me as interesting. I love a good black and white movie. I’m also curious about the seemingly minimal look of the trailer. It’s shot in black and white but doesn’t look to be going out of its way to flaunt its look. Alex: It does kind of look like Sven Nykvist‘s work on Ingmar Bergman‘s films. I tend to make too many comparisons to Bergman’s films since he’s one of my favorite directors, but the really minimal look and feel of the trailer really does make it seem almost exactly out of a Bergman film. 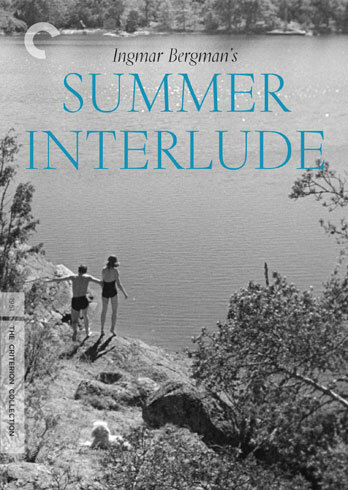 Probably unintentional, but the poster for Frantz is similar to the Criterion Collection’s cover for Summer Interlude. And I could totally see some of the shots in Frantz being comparable to those in Wild Strawberries. The last film I wanted to bring up was Apprentice (dir. Boo Junfeng). Apprentice is Junfeng’s sophomore film and his second to be screened at Cannes. Apprentice is about a young prison officer who meets an older man, the executioner at the prison. In the trailer, it’s hinted that the executioner had executed the young officer’s father and the officer is conflicted when being selected as the executioner’s apprentice. Matt: I can definitely see the visual comparison there, and I’m always happy to watch something inspired by Bergman, especially his early works. Junfeng is young for a filmmaker at only 33 years old, so it’ll certainly be interesting to see what he does. Singapore doesn’t have quite the rich history of some other Asian countries in regards to cinema, and so an up-and-coming director from Singapore gaining respect among the film community is pretty exciting. Alex: Definitely. Singapore does not have as much of a filmic history, so it’ll be interesting to see if Junfeng’s films can gain traction internationally. He’s off to a fine start though- his debut film was the first Singaporean film to be included in the International Critics’ Week selection at Cannes and Apprentice was the Singaporean entry for Best Foreign Language Film this year. Matt: Well it should make for an interesting month. There are definitely some things that I’m really looking forward to, especially given that March is typically a slow month for movie releases.